Okay. There is a wonderful complexity here that I am just dying to know more about. Without googling, I’m guessing there’s a distinct significance to the name selection? Would love to know more!! So glad you joined the VisDare family!! Moirai, the Fates were the three sisters, daughters of Zeus, who decides the destiny of mortals. Clotho spun the thread. Atropos cut it, determining when you would die. Lachesis would decide if you would be good or evil. 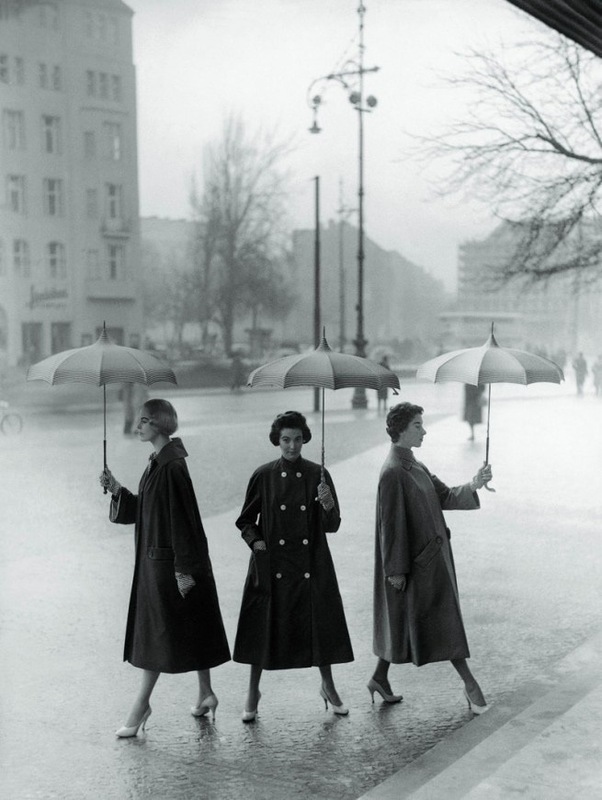 The photographer is the person who took the prompt image in 1955 Berlin. The national art gallery there houses von der Mark’s tomb sculpted by Schadow, which is a famous representation of, you guessed it, the Moirai. The title, “More Rain” is a pun on their name. Who they are there to meet, is one mystery you will have to work out for yourself. Brilliant mythological and historical references woven together seamlessly (Atropos would like that pun, yes? ).